Over 85% of our sales are shipped out of state. We have relationships with insured enclosed carriers and independent open carriers. 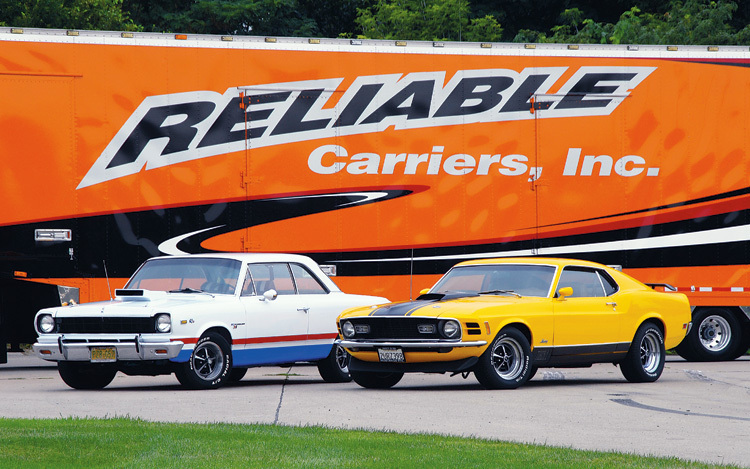 Our relationships allow us to provide our customers with competitive rates provided by reputable carriers. We will handle all the ordering and paperwork involved. If you have a preferred carrier and would rather make arrangements for yourself it is your choice. Overseas Shipping - there is no export tax from the U.S.
We sell 20-30% of our vehicles overseas each year. We recommend you contract a shipping company that is familiar with importing to your country. If you would like to learn more about some international shipping companies we have successfully used please contact www.ritewayautotransport.com,www.schumachercargo.com or www.shipoverseas.com and they will be happy to coordinate your vehicle delivery. If you have a preferred carrier please let us know. Click below to request a shipping quote.